Adolescent drinking is associated with changes in the metabolite profiled, a new study finds. Some of these changes were found to correlate with reduced brain grey matter volume, especially in young women who are heavy drinkers. The findings shed new light on the biological implications of adolescent drinking, and could contribute to the development of new treatments. 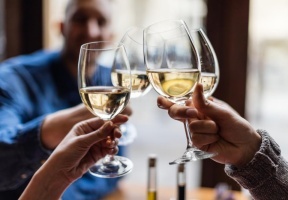 “For instance, heavy-drinking adolescents showed increased concentrations of 1-methylhistamine, which, in turn, was associated with reduced brain grey matter volume,” said one researcher of the study. 1-methylhistamine is formed in the brain from histamine produced by immune responses. The study was a 10-year follow-up study among adolescents living in eastern Finland. 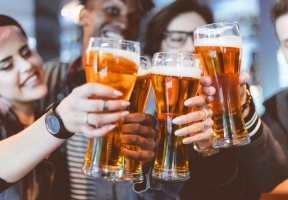 The researchers determined the metabolite profiles of heavy- and light-drinking young adults, and used MRI to measure their brain grey matter volumes. These two methods have not been used in combination before, although previous studies have shown an association between heavy drinking and metabolite profile changes. The findings indicate that even drinking that is not considered excessive has adverse effects on young people, both on their metabolism and brain grey matter volume, on the latter of which the research group has published findings already earlier.